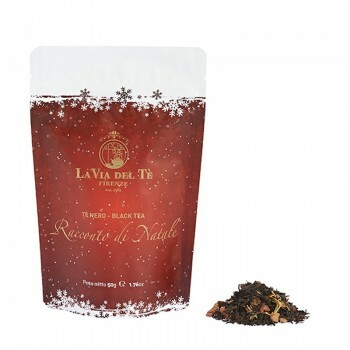 Blend of black tea with a fruity taste. 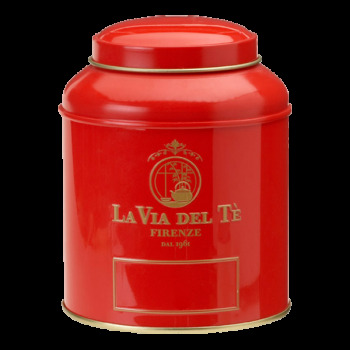 A sophisticated blend of high-quality black teas, with an evocative fragrance of fruit and unmistakable hints of pomegranate, symbol of love and rebirth. 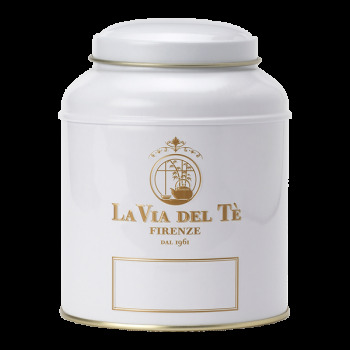 Fruity blend of white and oolong tea. The charm of ancient China lives on in this blend that brings together the semi-fermented Oolong tea and the precious buds of Yin Zhen(“Silver Needles”) white tea, once intended for the Emperor solely. Blend of black citrus teas. 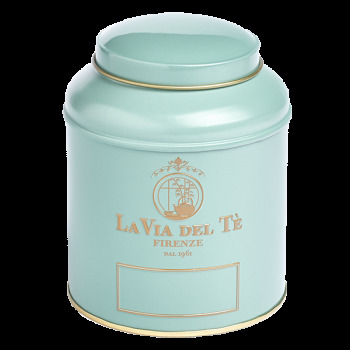 A classic, highlyperfumed “Russian-style” tea created following the original recipes in vogue in the nineteenth century at the court of the Tsar. 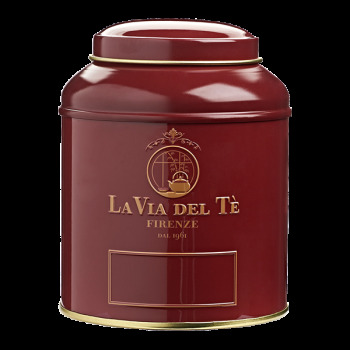 Perfect for keeping the tea leaves in the best possible way so that they retain all their freshness. 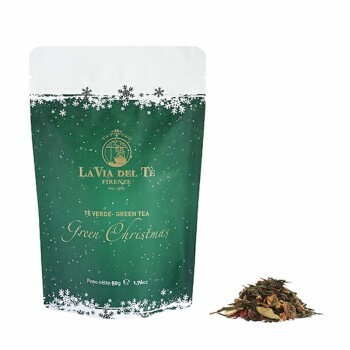 Christmas blend for the entire family. Bancha green tea, apple, orange peel, flavouring, safflowers, sunflowers petals, pink pepper. 2/3 gr to 200 cc. of water at a temperature of 80°, leaving in infusion for 2/3 minutes. 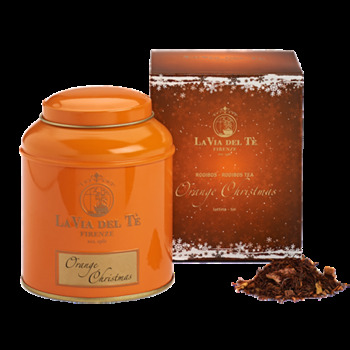 Blend of Indian Assam tea, cinnamon, coriander, cloves and pieces of apple, with a warm spicy fragrance. Indian black tea, apple, cinnamon, cloves, flavourings, coriander, pieces of strawberry, calendula. Rooibos (South Africa), hibiscus tea, apple pieces, flavours, orange rind, cinnamon, sunflower petals. 2/3 gr. to 200 cc. of water at a temperature of 90°C. Brew for 3-4 minutes. 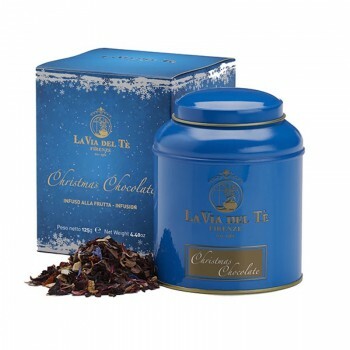 This fruit infusion is a blend of hibiscus, rosehips, cocoa peels with orange, cinnamon, vanilla and chocolate flavours. Caffeine free. Christmas blend for the entire family. hibiscus, roaster cacao peels, rosehip, orange rind, flavours, cinnamon, natural flavours, cornflower petals. 3/4 gr to 200 cc. of water at a temperature of 80°, leaving in infusion for 4/5 minutes.